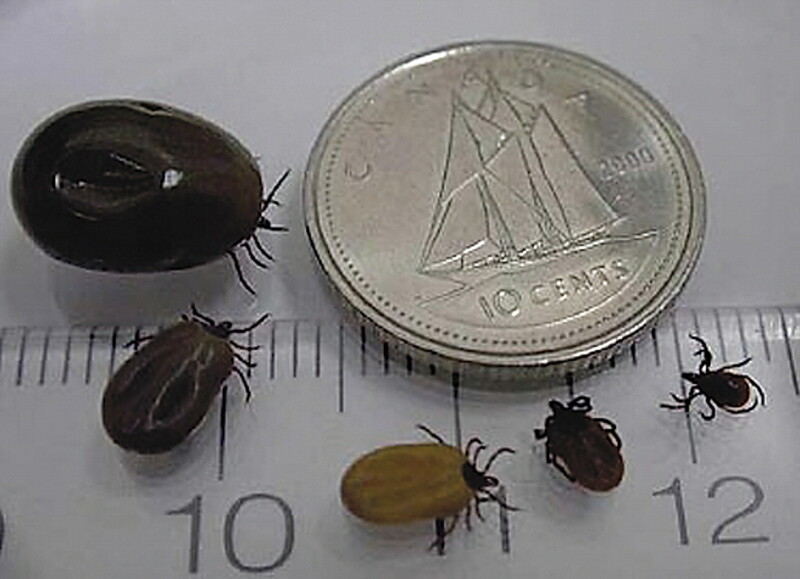 There is a low but nonetheless real risk of infection in people across Canada, even in areas where ticks are not established, owing to ticks that are dispersed from endemic areas by migratory birds. 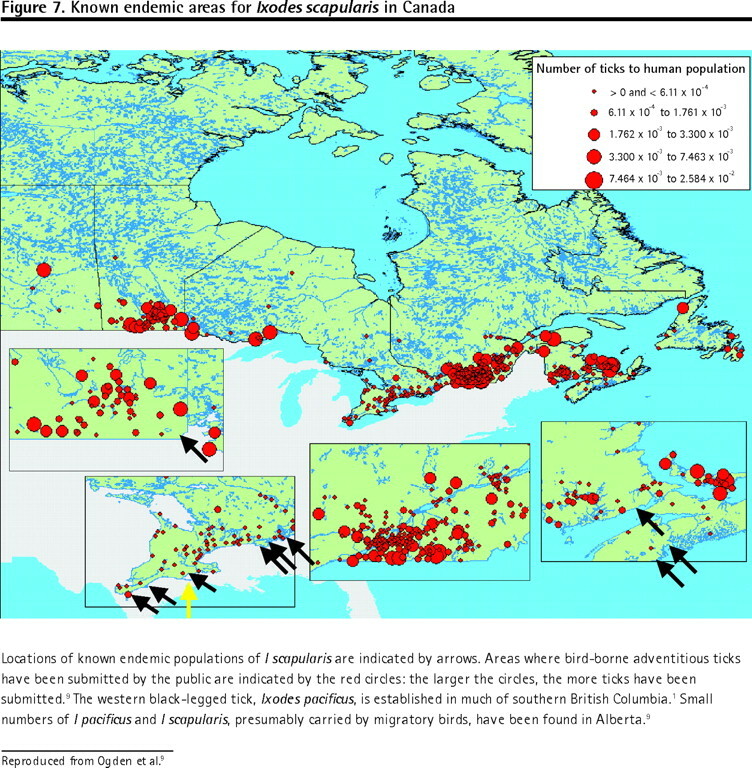 Studies suggest that the range of the black-legged tick is expanding in some parts of eastern and possibly central Canada, and the scope of endemic areas is thought to be increasing—a process that could accelerate with climate change.1,2 Lyme disease will be nationally notifiable in Canada by the end of 2008. 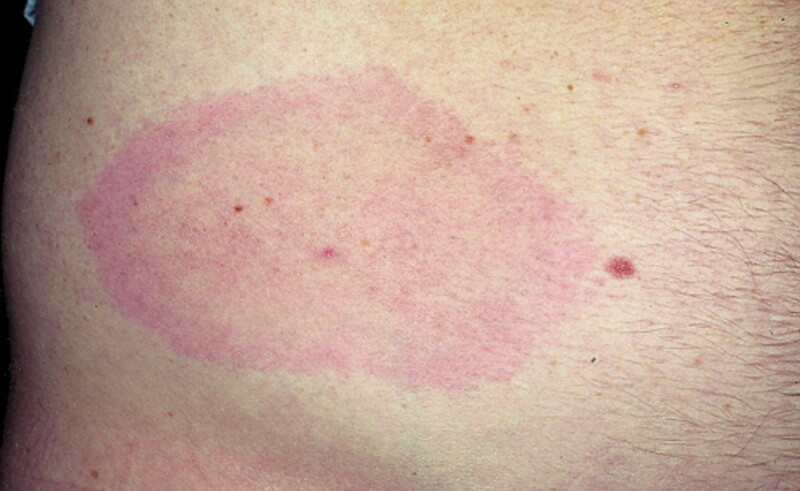 Early Lyme disease is characterized by an expanding area of erythema extending from the site where the infecting tick bite occurred. This lesion, called erythema migrans (EM), is typically > 5 cm and is not normally associated with the typical signs of skin inflammation, such as itchiness, scaling, pain, swelling, or exudation (Figures 3 and 43). Erythema migrans appears 1 to 2 weeks (range of 3 to 30 days) after infection and persists for up to 8 weeks, by which time the bacterium has left the skin and disseminated hematogenously. For a short period (< 48 hours) after the tick bite, there might be a limited circular area of inflammation where the tick bite penetrated the skin. Patients with EM might suffer from nonspecific signs, such as fatigue, headache, and arthralgia. Acute peripheral nervous system involvement associated with Lyme disease includes radiculopathy, cranial neuropathy (Bell palsy, Figure 5), and mononeuropathy multiplex. Central nervous system involvement includes lymphocytic meningitis and, rarely, encephalomyelitis (parenchymal inflammation of brain or spinal cord, with focal abnormalities). Neurologic symptoms of late Lyme disease can include encephalomyelitis, peripheral neuropathy, or encephalopathy. 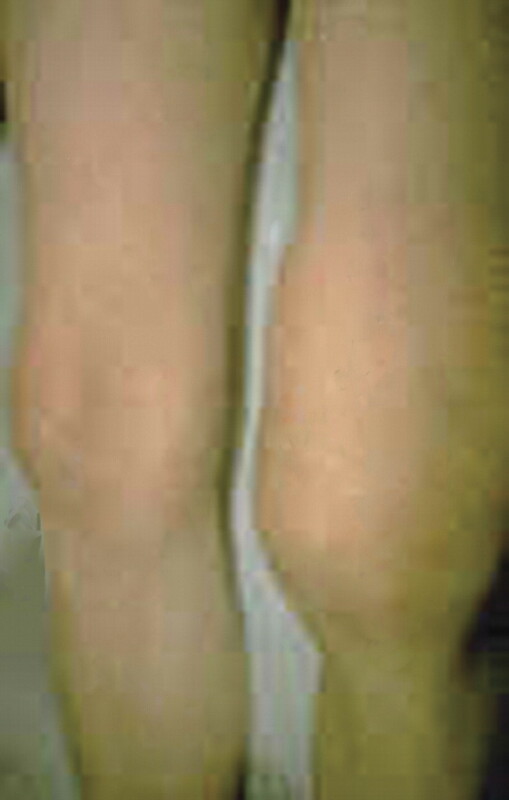 Lyme arthritis is a monoarticular or oligoarticular form of arthritis most commonly involving the knee (Figure 6). It can, however, also affect other large joints or the temporomandibular joint. 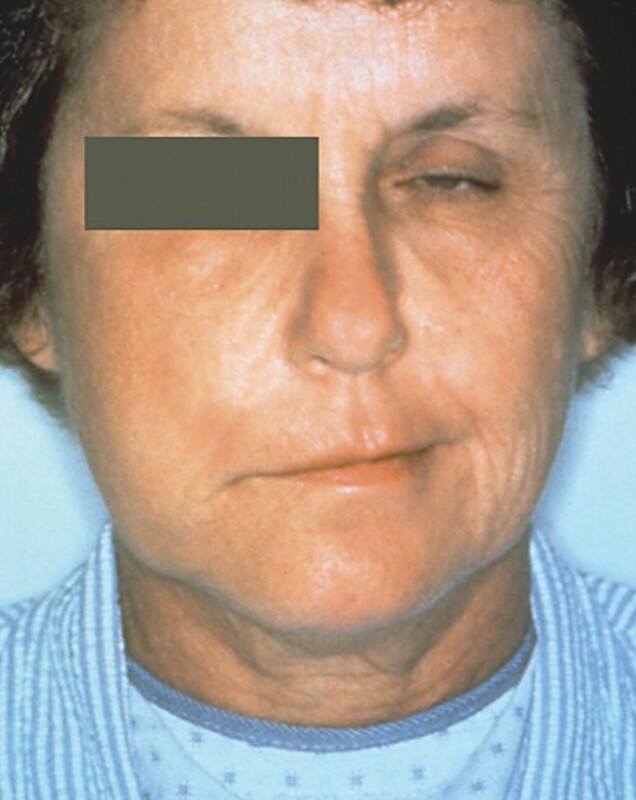 Large effusions that are disproportionate to the pain are typical. If untreated, Lyme arthritis is often intermittent, with episodes of joint inflammation spontaneously resolving after a few weeks to a few months. Persistent swelling of the same joint for 12 months or more is not a usual presentation. Cardiac involvement associated with Lyme disease includes intermittent atrioventricular heart block, often involving the atrioventricular node (although heart block can occur at multiple levels), and sometimes myopericarditis. Carditis can occur in early stages of the disease. Multiple EM lesions can occur in early disseminated Lyme disease. Many patients with EM and some patients with early disseminated Lyme disease receive negative test results, although most patients become sero-positive as the infection progresses in untreated individuals. Confidence in a positive serologic test result is greater if the patient has a history of living in or visiting an endemic area. Residence in, or a visit to, an endemic area of Canada (Figure 79) or abroad (eg, the United States, much of Europe, and temperate Asia) provides strong support for a clinical diagnosis. Lyme disease, however, cannot be ruled out in people who do not fit the above criteria, as it is possible to be bitten by infected ticks transported from endemic areas by migratory birds. 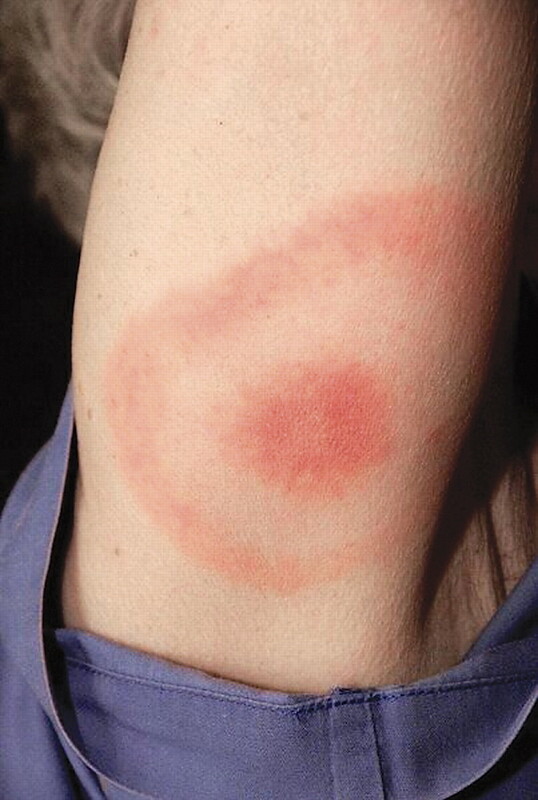 The risk of Lyme disease is greatest in spring and early summer, when the nymphal ticks are most active, but can also occur into late autumn. 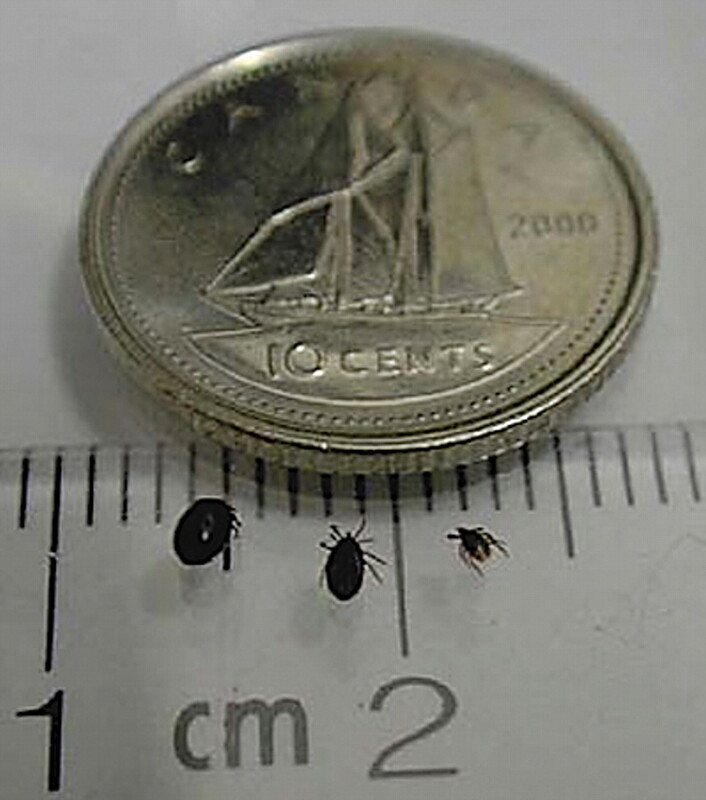 If patients find feeding ticks on their skin, they can submit the ticks to the National Microbiology Laboratory for identification and testing for B burgdorferi infection (visit www.phac-aspc.gc.ca/id-mi/tickinfo-eng.php for more details). Patients with compelling clinical symptoms should be treated without waiting for diagnostic test results of submitted ticks. A 14-day course of treatment with appropriate antibiotics (eg, 100 mg of doxycycline twice daily, 500 mg of amoxicillin 3 times a day, or 500 mg of cefuroxime axetil twice daily) is effective in early Lyme disease.10 (Note that cephalexin is ineffective.) Treatment of disseminated Lyme disease patients is best conducted by, or under the advice of, an infectious disease specialist. Wear long pants and long-sleeved shirts when walking in wooded areas where ticks might be present. Tuck trousers into socks, limiting the access of ticks to bare skin where they can feed. Wear light-coloured clothing. It is easier to see and remove any ticks that come in contact with light-coloured surfaces rather than dark-coloured. Apply insect repellents that contain DEET (diethyltoluamide) to clothing or exposed skin. To maintain effectiveness, product application might have to be repeated more frequently than required to prevent mosquito or black fly bites. Always follow the label directions when applying any insect repellent. Perform a careful self-examination for attached ticks after being in a potential tick habitat. If infected and feeding ticks are removed within 36 hours of attachment, transmission of Borrelia burgdorferi is prevented in most cases. Use tweezers to remove an attached tick. Grasp the tick’s head and mouth parts as close to the skin as possible, and pull slowly until the tick is removed. Be careful not to twist, rotate, or crush the tick during removal. After removing the tick, use soap and water to wash the site where the tick was attached. If clinical signs appear, seek treatment early. Treatment is much easier in early Lyme disease and appropriate treatment might prevent the more severe and debilitating symptoms of disseminated Lyme disease.